Mid-day hunger pangs drive me crazy and I’m sure they drive you out of insanity too. All these years, I would have few biscuits with my 4 pm tea and wouldn’t bother much. However, that led to me storing box full of crackers, biscuits and cookies just for the sake of variety. And I’m sure its pretty much the same with most of you. 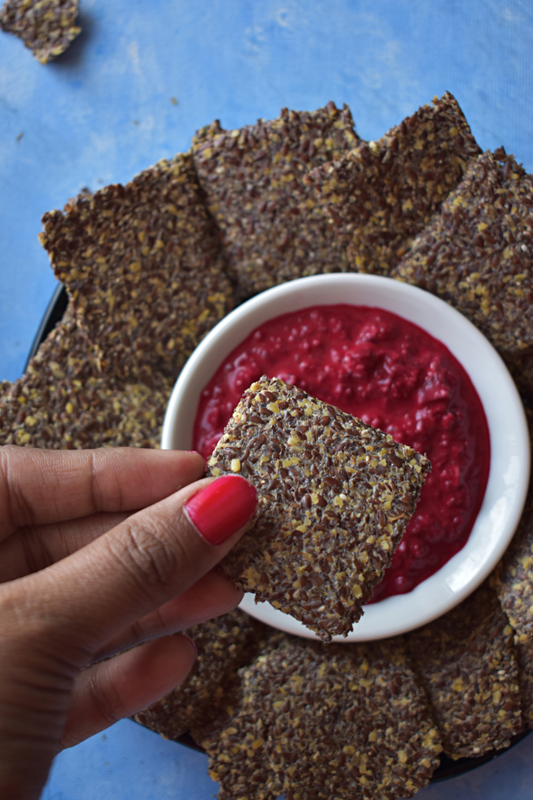 Recently, I came across the low-carb seeded crackers that are flour less and does not contain any baking soda or baking powder and made of Flaxmeal. I did not buy the idea initially. You know those faux recipes that have hidden ingredients into it. The same thought came to my mind. My seeds were not properly soaked. The thickness of the crackers was not consistent and too thick. The oven temperature adjustment was not right. The heat was too much for the crackers. 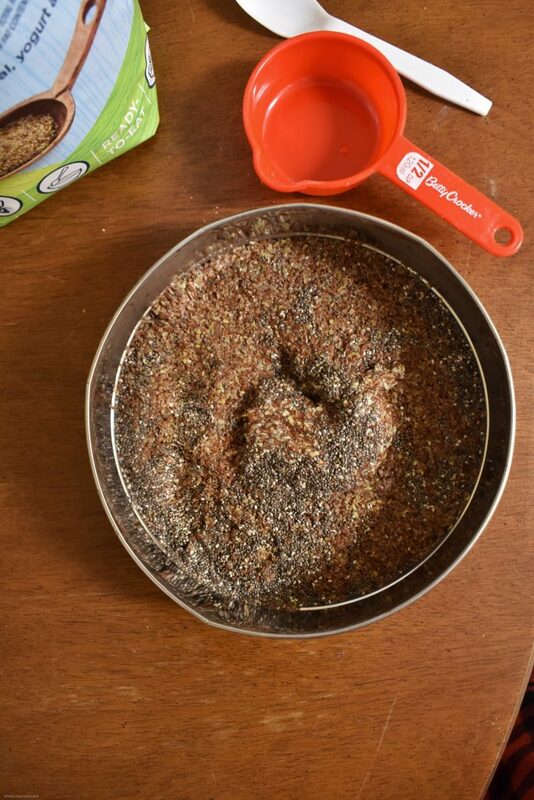 Soak the flaxmeal and chia seeds properly. They will turn sticky once they are properly soaked. Press the mixture onto the baking tray evenly and the thickness should be minimum. Consider .5mm thickness is good thickness so that the crackers bake evenly and uniformly. While pressing the mixture onto the baking tray, wet your fingers so its easy and the mixture doesn’t stick to your fingers. Adjust the oven temperature. If your oven is nasty, bake these crackers on 320F for 30-35 minutes. I took care of all the points and gosh! I had great tasting and beautifully baked crackers ready in 30 mins. These low carb crackers are easy to make with 5 ingredients and taste like a bomb. Flaxmeal crackers are best for the mid afternoon hunger pangs we experience everyday. In a mixing bowl, add flaxmeal and chia seeds along with water. Let the mixture sit for 5 minutes so that the seeds absorb all the water. The mixture should be sticky. To this add herbs and salt. Line the baking tray with a baking sheet and spray some oil spray. 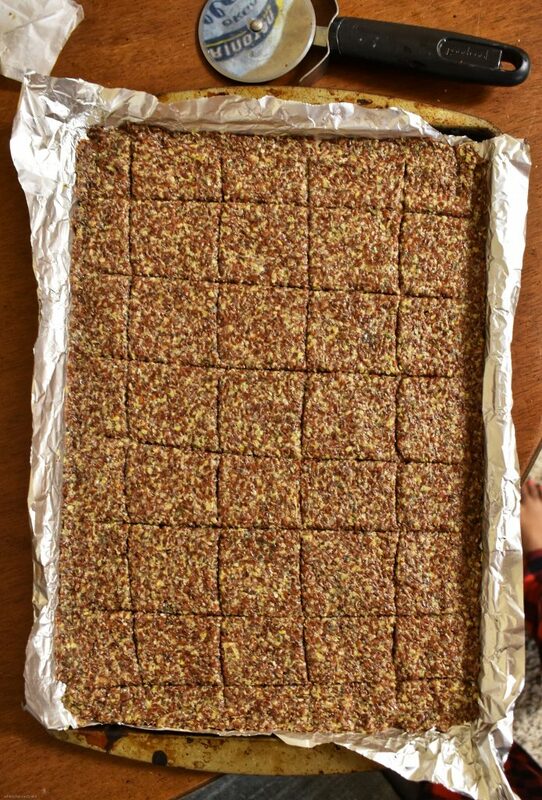 Transfer the mixture to the baking pan and start pressing it to form uniform thickness. Slightly wet your fingers to ease up the flattening. Ensure the thickness is uniform and thickness is around .5mm thick. With a pizza cutter, cut the crackers slightly for the ease of separating them after baking. Bake them for about 30 mins. After 30 mins check to see if the crackers are baked. If not, keep it for 5-10 minutes depending upon the level of completeness. The completely baked flaxmeal cracker will be of the dark shade of brown. You can add parmesan cheese to these crackers. Add ¼ cup of parmesan cheese for 1 batch of crackers ingredients. Why should I eat these crackers? These crackers taste the best than any other store bought chips and crackers. Also these are low-carb so you don’t need to worry about the carb intake. Though the flaxmeal is rich in Omega 3 fatty acids, eating in moderation is always advised. 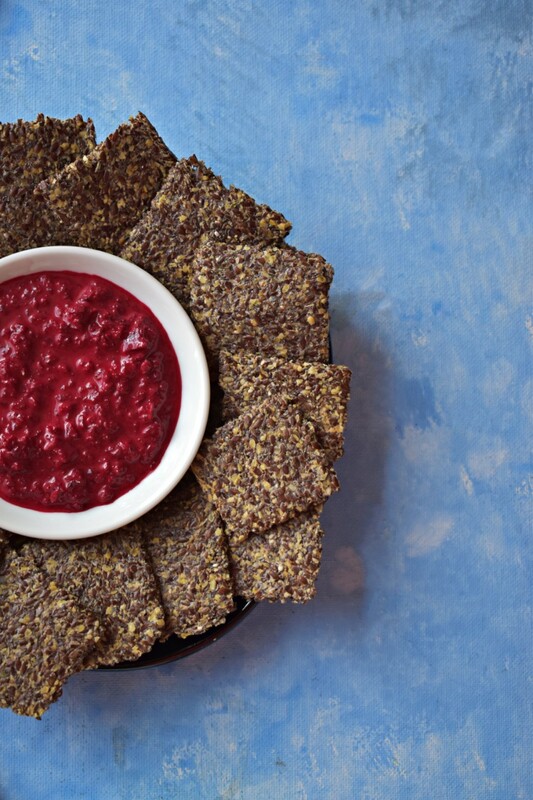 These crackers taste best alone but can also be paired with yogurt dips and guacamole. Super easy and healthy recipe!